Sarah Sanders, White House press secretary, speaks at a news briefing Dec. 18, the last one held in the White House briefing room. (Bloomberg photo by Al Drago). Sarah Sanders has not provided an on-camera news briefing for more than a month. WASHINGTON — President Donald Trump said Tuesday that he directed White House press secretary Sarah Sanders “not to bother” with press briefings because he believes that reporters are rude to her and that most members of the media will not cover the administration fairly. Trump’s tweet came shortly after White House spokesman Hogan Gidley was asked about the subject during a live interview on Fox News. 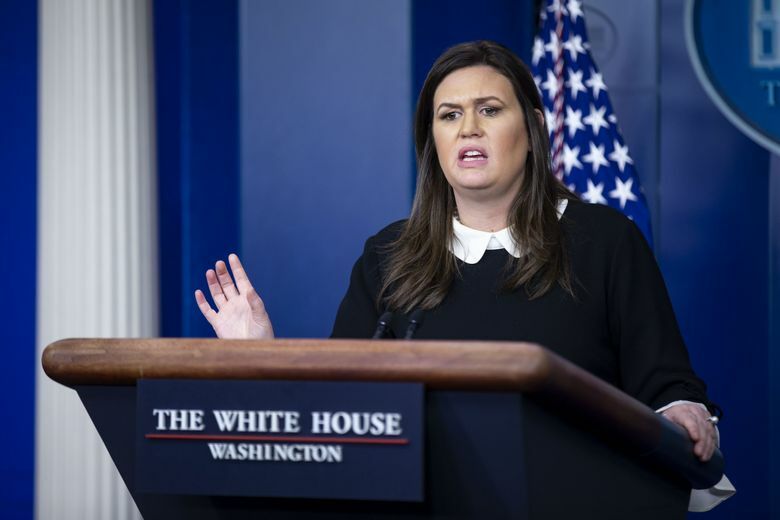 “Sarah Sanders will absolutely be back at this podium talking to the press and delivering the message to the American people,” Gidley said. “It’s kind of ridiculous. You can’t win for losing half the time,” he said.